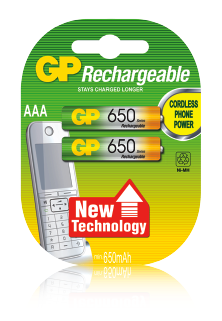 GP Phone Power batteries are especially designed for use in cordless phones. They provide long-lasting power and can be charged up to 500 times with enduring quality. They are available in 2 sizes and suitable for most cordless phones in the market.